Why Ita Buttrose thinks women should shut up about Botox. Question: When two iconic magazine editors sat down together in a tiny podcast studio in the middle of Sydney recently, what did they talk about? When Ita Buttrose and Mia Freedman recorded this episode of No Filter, nothing was off the table. Radical celibacy. Being a single working mother. Eddie Maguire. Motherhood. Her pyschic encounter with Malcolm Turnbull. Julia Gillard. Ita is an Australian legend. 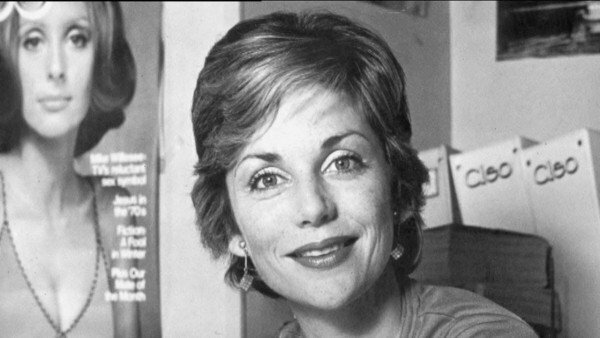 As the pioneering editor of Cleo, then the Australian Women’s Weekly, she changed the media for Australian women. Now aged 74, Ita says she gets six hours sleep a night, still reads four newspapers a day, wakes up to the ABC radio news, watches more while she’s making her breakfast, and stays engaged all day with Twitter. Mia asks Ita ‘permission’ to have Botox. Mia told Ita that she frets about one day having to tell her daughter . “You don’t have to tell your daughter. “I do feel, with great respect, that a lot of younger women overshare. You don’t need to share with your children or your partner, there are things you just do because you want to do it, because they make you feel better about yourself. Ita doesn’t own a single pair. Obviously. "I don&apos;t think I ever get lonely because I&apos;m so busy... The best part of (living by yourself) is doing whatever I want to do. If I don&apos;t want to cook a dinner and just have a sandwich, I can. If I want to watch a movie I&apos;ve watched a thousand times, I can." Being a single working mum. "Things were easier [for working women] in my day... We did not have to be on tap 24/7, because when I finished work I finished work. I finished at 6pm... Sometimes I might have worked at the weekend, but that was my call. You knew you had your play time, your time with your children." "Being a feminist seems to be an undesirable state for young women and I don&apos;t understand why. We mustn&apos;t let the word be sullied. "Being a feminist is a proud thing to be. I&apos;ve been a feminist since I was a very little girl, I just didn&apos;t know it." Ita at the Mamamia office. "Sir Frank (Packer) was scary. He was a very tall, imposing man, and we did call him &apos;God&apos; and he was gruff and bluff but he was really very kind and he was very thoughtful to women to worked for him. Do you think women are in an age of oversharing?